Today is the 87th birthday anniversary of Joe Pass. The virtuoso guitarist was born Joseph Anthony Jacobi Passalaqua in New Brunswick, NJ on January 13, 1929, and died in Los Angeles on May 23, 1994, at 65. Pass was an underground legend until he was in his mid-forties. Initially inspired by the “Singing Cowboy,” Gene Autry, and encouraged by his father, a mill worker in Johnstown, PA, who recognized his son’s precocious musical talent as an avenue out of the Rust Belt, Pass began playing professionally at the age of 14, and eventually toured with the bands of Tony Pastor, Charlie Barnet, and Ray McKinley. Pass settled in New York in the late forties and spent nights at the Royal Roost listening to Charlie Parker and playing jam sessions around town. 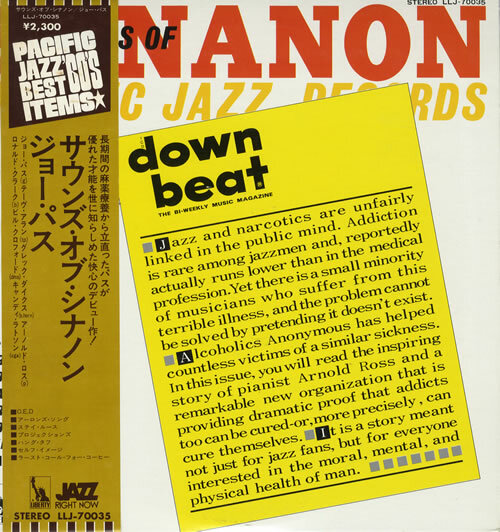 But heroin addiction, the scourge of modern jazz in the post-war years, claimed him, and he spent over a decade chasing a fix and looking for gigs. He lived for a time in New Orleans, where he played for strippers and resided in a building that housed saxophonist Brew Moore and William Burroughs, who’d just published his 1953 debut novel, Junkie. Pass next worked in show bands in Las Vegas, where he got busted for possession of marijuana in 1954 and sentenced to the federal narcotics prison in Fort Worth, Texas. Upon release four years later, he returned to work in Vegas and in Southern California, but still hampered by dope, he entered Synanon in 1960. Pass remained at Synanon until 1963. For the next decade, he worked as a studio musician around Los Angeles; earned the praise of Wes Montgomery; and recorded with Gerald Wilson’s Orchestra. 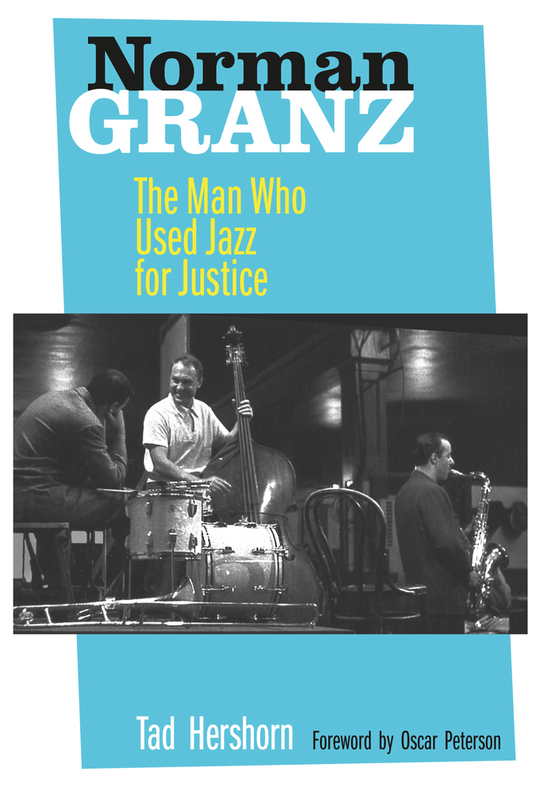 He’s featured on two of Wilson’s masterful Pacific Jazz albums, Moment of Truth and Portraits. From the latter, recorded on December 2, 1963, Pass plays acoustic guitar on Wilson’s arrangement of “‘Round Midnight.” Harold Land is the tenor saxophone soloist. The Santa Monica concert was a prelude to Granz getting back in the business. In 1973, he established Pablo Records, the same year that another Californian, Carl Jefferson, established Concord Jazz. The immediate success of both labels signaled that a substantial audience was still eager to hear music played by established and emerging players of mainstream jazz. Like Verve, Pablo reflected Granz’s personal tastes and his ongoing devotion to Ella, Oscar, Basie, Sarah, and Roy, as well as Milt Jackson, Harry “Sweets” Edison, and Zoot Sims. To the delight of Sims fans, the saxophonist’s discography mushroomed under the Pablo banner and now stands as a significant part of his legacy. Pass then joined the dynamic duo of Peterson and bassist Niels-Henning Orsted Pedersen and went on to tour and record extensively with them for nearly two decades. Their sensational debut, The Trio, was recorded live at the London House in Chicago in May 1973. Ellington’s spiritual theme, “Come Sunday,” was Joe’s solo feature at the London House and it remained a staple of his repertoire with Peterson and Pedersen. Here he plays it in Tokyo in 1987. A memorial tribute to Ellington was the focus of Joe’s first album as a leader for Pablo. Portraits of Duke Ellington was recorded less than a month after Duke’s death in May 1974. I’ve long found it hard to select just one tune from the record for airplay in Jazz a la Mode, so for now let’s go with the album’s opener, “Satin Doll.” Equal credit for this gem goes to bassist Ray Brown and drummer Bobby Durham. Nicely curated piece on Joe Pass. “An evening with Joe Pass” documentary contains valuable insights from Pass on interviews and questions from students as well as superlative music. Thanks for including that. Good job as usual, Mr Reney. You are a great local resource. Joe Pass actually recorded “Virtuoso” in August of 1973, several months prior to recording the “Portraits of Duke Ellington” album. But his earlier “For Django” had already established him as a phenomenal guitarist some years earlier. Still, for Joe’s Pablo years, Virtuoso was Joe’s first feature album. 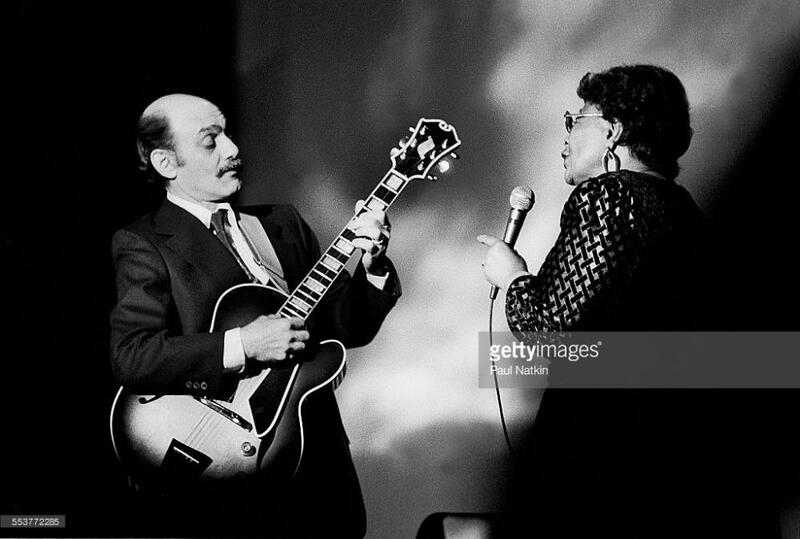 I saw Joe Pass at Symphony Hall in Boston, probably in the mid-70’s, probably with Ella. He came on stage, solo in a beautiful suit, leaned into the mic and said in a gangsta voice, My boss told me to dress fa dis gig. And then he played like I’d never heard.